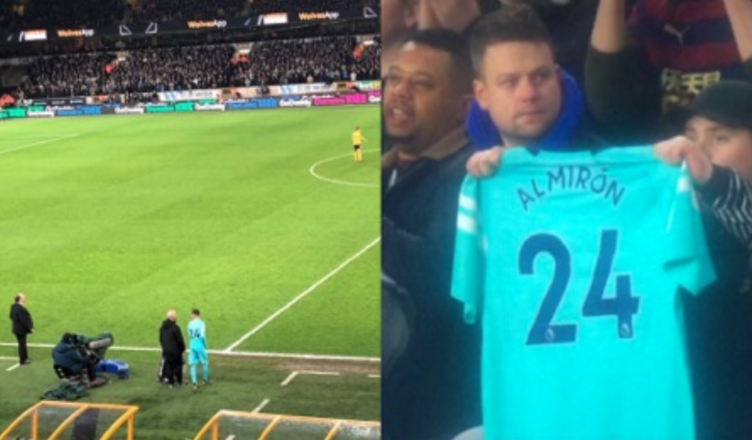 The spine-tingling moment Miguel Almiron was introduced to the Toon Army – Watch it here – NUFC blog – Newcastle United blog – NUFC Fixtures, News and Forum. It may be a few days on, but I still can’t stop watching the moment Miguel Almiron was met with a huge roar from the travelling Toon Army at Wolves on Monday night. Almiron is our new record signing and looked very lively when he came on – let’s hope he can add the spark going forward we have been clearly lacking. As a Newcastle fan, it was nice to see some excitement for a new signing – something that has been long overdue! It was good to see the Paraguayan get a good twenty minutes under his belt at Molineux and with a further twelve days training with the team, he surely has to start against Huddersfield next time out. Rafa can integrate him into our system during our warm weather break in Spain and he might just make the difference at SJP in a game we really need to win. What did you think of Almiron when he came on?